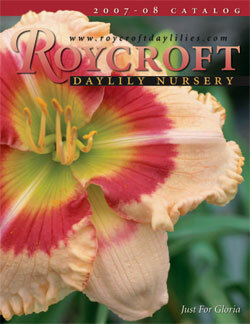 This is the PDF file of our 2007-08 catalog which is the last one we plan to have printed until further notice. It has over 400 colored photos and will be a great companion to our web site. It lists, with color photos, approximately 1/2 of the cultivars which are offered on this web site and which are also available for purchase in containers at our nursery. The worldwide cost of the catalog is $5.00 US postpaid. To preview our entire 2007-08 printed catalog you can download or view it as an Adobe PDF file: Download/view. If you do not have the free Adobe Acrobat PDF viewer, please click here to download.